Steel dowel pins are the hardest of all dowel pins. These pins are manufactured from 1144 steel and dipped into a rust preventative after being heat treated to RhC 60-62 at a case depth of 0.03”. These pins meet ASME B18.8.2 material specification. The heat treatment process affords exceptional strength to steel dowel pins, and as such, they are commonly used in demanding applications involving corrosive environments and high mechanical stresses. 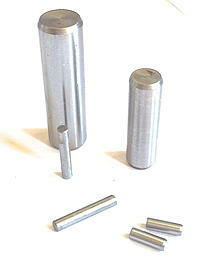 The steel dowel pins we manufacture are highly durable and versatile. The use of dowel pins is frequent in many industrial applications, including part alignment for surgical instruments and hydraulic valves, and alignment of microscopes, cameras, and other research equipment. If your specific application has different specifications, contact us and let us know. At Suburban Industries, our expert team is capable of manufacturing custom dowel pins to suit your unique requirements. 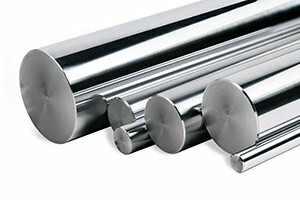 You can rely on use to produce the most precise, highest-quality dowel pins for any application. Browse the Suburban Industries Catalog to see the exact product dimensions and specifications that we offer. If you need help choosing a product, don’t hesitate to ask one of our representatives for assistance—we are happy to help!